OK, you got me. This blog is neither about software development in general, nor .Net in particular. But it is about a topic that's close to many developers' hearts: coffee. I'll prefix this by saying that I'm not a coffee snob, though I do have some pretty specific ideas about what I enjoy in a good cup. I don't like the stuff they sell at Starbucks, for example, and I find Costa's brew is way too bitter for me. The nicest store-bought coffee I've tasted actually comes from McDonalds fast food restaurants – their blend tastes really nice. If I didn't have to stand in a line six people deep, all trying in vain to order the food they actually want whilst some poor underpaid student embarrassedly tries to upsell them Things They Don't Want, I'd probably grab a coffee at McD's more often. 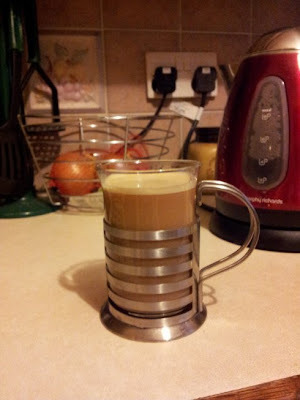 My usual brew at home until recently has been Gold Blend instant coffee. That said, I've been working in the centre of Glasgow with a great bunch of guys in a games company for the past couple of months (the first time I've been back there to work in a while). Being in a location that's surrounded by every conceivable type of coffee outlet imaginable, including all of those mentioned above within 100 yards of my office door, has got me to thinking about coffee seriously again. That's led me to invest in a good bean-to-cup machine, so that I can enjoy my coffee just how I want it whilst working at home once my present contract has finished. I've tried other coffee machines that use pre-ground coffee in the past. To be honest, the results were not at all good. As mentioned above, I find some brands of instant coffee to be very nice. However, if you are going to grind the beans and attempt to make the real thing, then buying pre-ground beans is frankly a step backwards rather than forwards from instant coffee. Coffee beans lose their flavour very quickly indeed: within seven days of being ground. So, unless you're grinding your own as part of the processs, you're probably not getting anywhere like the intended flavour. Pre-ground coffees tend to have been sitting in a warehouse for anything up to six months by the time consumers get them, so they're already well past their best, however they've been packaged, and whichever temperature or atmosphere they've been stored in. The model above alleviates the issue of ground beans quickly losing their flavour by having an internal grinder that you can fine tune to your own taste. 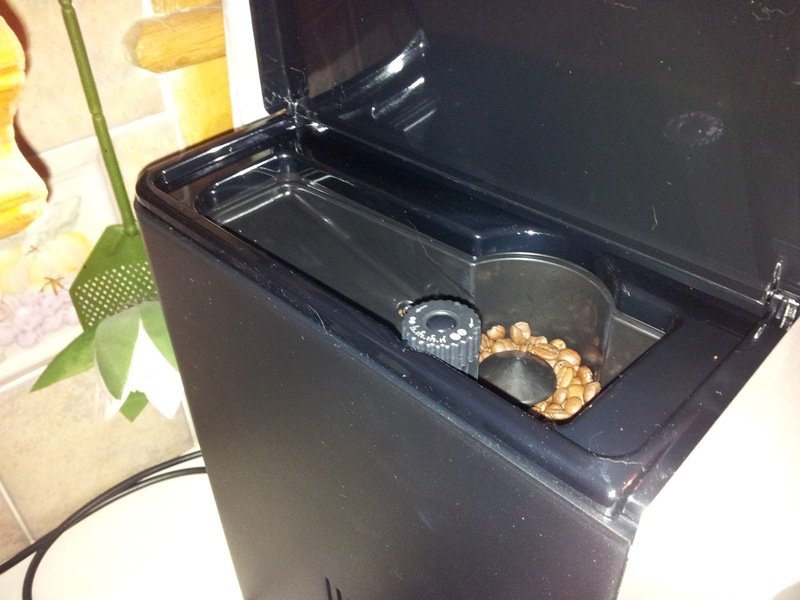 You can set it to grind the beans more finely if you want a smoother brew. (In practice, I've found that leaving it at the median factory setting has achieved just the right balance between a quick brew and a fine enough grind that you get all the flavour). Because the coffee is ground only in the right amount to make each cup and right before it's used, the resulting flavour is generally excellent. With this particular model, you can also use pre-ground coffee if you really want to. However, since whole coffee beans are generally cheaper or the same price as pre-ground coffee, and tastes very much better, there's really no incentive to. As it only makes one or two cups at a time, the coffee produced is always piping hot. You can also adjust that setting to suit your own tastes: for me, the hottest setting felt about right. You can also adjust the strength of the coffee itself. I quite like mine about 25% of the maximum possible strength: strong enough to get a nice caffeine buzz, but without being overpowering or resulting in too bitter a brew à la Starbucks or Costa! 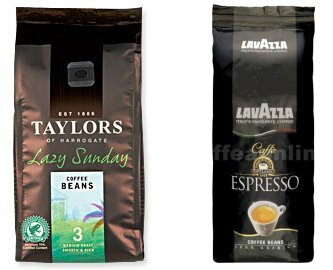 For beans, I've tried two varieties thus far: Italian Lavazza espresso beans, and a blend called Lazy Sunday by Taylors of Harrogate. They're both nice and give a mild, creamy coffee. However, Lazy Sunday just edges it for me. I've also bought some Illy beans to try in the coming weeks; we'll see how that goes. I'm looking forward to trying some other blends after that to compare and contrast: that's all part of the fun. In essence, there are two types of bean: Arabica and Robusta. There are also lots of different types of roast, typically graded from 1 (Mild) through to 5 (Dark). Arabica beans (which as the name suggests come from high-altitude regions within the Arabian Peninsula) are the oldest and probably more mild of the two, with chocolaty tones. If your tastes are anything like mine, they'll probably suit your palate best. Robusta beans are grown further afield, in places like South America, the Caribbean and Africa, at the same high altitudes. Robusta beans taste earthier and stronger than Arabica. Some blends use a mixture of the two types: Lazy Sunday is in that category. The roast gradings of 1 (Mild) to 5 (Dark) are a little easier to get a handle on. Counter-intuitively, the middle grade of 3 (Medium) is actually the most flavourful, and the one I like the best. If the bean is roasted less than 3 then the cup will be very mild indeed, and will contain a lot of caffeine. If it's roasted very darkly then it'll taste very smoky, but won't contain as much caffeine since it'll have been burnt up during the roasting process. A medium blend preserves that caffeine kick with a nice, mild flavour: a winning combination for me! 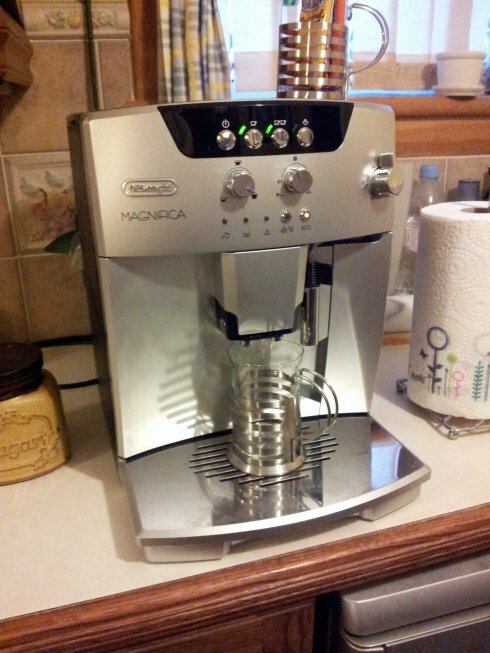 The Magnifica machine itself has proven easy to clean and maintain. The coffee grounds are condensed into little discs during the brewing process: one for each brew made. It's easy just to empty the container out whenever the appropriate warning light comes on (about every fifteen cups or so), then give the container a rinse out and dry it ready for the next brew. The instructions advise cleaning out the internal filter around once a month, and not to use a dishwasher or any form of soap for cleaning (as soap can jam the very fine metal filter the machine uses). In practice I find it easiest just to give the filter a rinse under the tap and then dry it with a paper towel whenever the grounds container needs emptying, and you're set to go for the next few days' worth of coffee. The machine itself costs in the region of £350. There are various models in the Delonghi range that go down to about £275, and as a beginner to using espresso machines it's not that easy to see what the benefits of one model against another are. And it's not just as simple as choosing the newest, whizziest-bangiest option either: some of the older models in the same range are more expensive and give better results in terms of reliability/performance/features than newer ones. I found this site to be quite useful for providing an independent guide, and for allowing you to directly compare and contrast the different models that are available. In the end, I chose the model I did mostly because other Delonghi models in the same range had a lot of very good customer reviews on Amazon, and because it happened to be the model in the Delonghi range that was available from my local electrical retailer. With Christmas approaching, and consequent delays in the post, I wanted to enjoy my machine whilst I had a couple of weeks away from my current contract over Christmas and New Year, rather than having to wait for an item to be delivered from Amazon (which I'd have been quite happy to do at other times in the year). I've been very happy with the model I got, though I'm sure the cheaper one available through Amazon would have been just as good. When I was researching which machine was right for me, I noticed a lot of variety in the options that were available. The cost ranged from between about £250 and £900. The main thing that seemed to differentiate the more expensive models were that they had digital controls, and the ability to store and retrieve different settings. That didn't seem particularly important to me, since once I'd found the settings I liked I intended to keep them that way. However, if you're buying a machine for an office where each person has their own individual taste, the ability to store and replicate multiple different preferences rather than fiddling with the controls manually each time might make more sense. 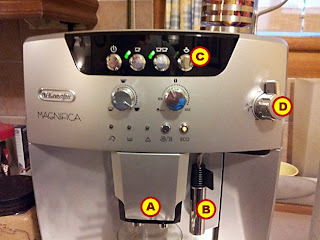 The unintuitive way that machines in the £250-£500 bracket work is my only real quibble about the Magnifica. It appears to have been designed by the same guy that was responsible for Windows Vista: the controls are horrible, and it's very easy to get confused about how to use the machine at first, particularly for accessing the type of features you'll only set infrequently, such as the water hardness setting. I won't go on ad infinitum about each individual feature, but describing just one in detail may help demonstrate the issue. The coffee comes out of the two nozzles marked 'A' in the photograph above. These nozzles are also where water comes out around twenty seconds after you switch on the machine, as it goes through a cleaning cycle. That same cleaning cycle is repeated (with attendant unexpected hot water flow) when the machine turns itself off after two hours on standby. There's a drip tray on the machine, but it still makes a bit of a mess when a full flow of water is deluged into it unexpectedly. So, I've taken to having a cup positioned under those nozzles at all times when I'm not making a brew, just in case it catches me unawares. The cleaning cycle can be sort of useful as you can use the water to pre-heat your cup(s), provided you remember to position them under the nozzles before turning the machine on! Then we come to the milk frother 'wand' (labelled 'B' in the photo above). This device is meant to provide steam to froth milk for making cappuccinos. And it does. Provided you master the magical ritual for making it work first (I suspect that's how it came to be known as a "wand"). The process for getting frothy milk involves first pressing the button marked 'C', then turning the knob marked 'D' anti-clockwise. But don't go putting your milk cup under the wand straight away or anything crazy like that, because what comes out of that 'wand' at first is - yes, you've guessed it - boiling hot water! To get the process to work properly, you need to get that same cup that you use to catch unexpected water flows from the coffee nozzles, and place it under the wand. Then you turn the knob and let the boiling water turn to steam over the next ten seconds or so. Only then do you switch over to your pre-prepared cup of milk (which should only be about a third full, since it expands in volume as you steam/froth it). If you forget to press the button marked 'C' before you turn the knob 'D' you'll be waiting a long time for that flow of boiling water to turn to steam. I personally found that a little pointless initially: if knob 'D' had been dedicated to the function of producing steam there would have been no need for button 'C' at all. When you're done steaming the milk, naturally you're going to want to make some coffee to put that freshly-frothed milk into. However, Cappuccino By Vista has thwarted you once again. Because it's at this juncture you'll find that the machine is too hot to make coffee, and needs to be left alone for ten minutes or so to cool down (by which time your milk will be flat and cold). There is a solution that doesn't require access to a Tardis to be able to go back in time and make sure you prepare the coffee first. That solution is to press button 'C' again until the light next to it goes out. This causes knob 'D' to stop being able to produce steam and puts it into "hot water" mode. Whilst in this mode, you place a cup under knob 'D' and turn it until steam stops flowing and boiling water resumes once again (takes about ten seconds again). 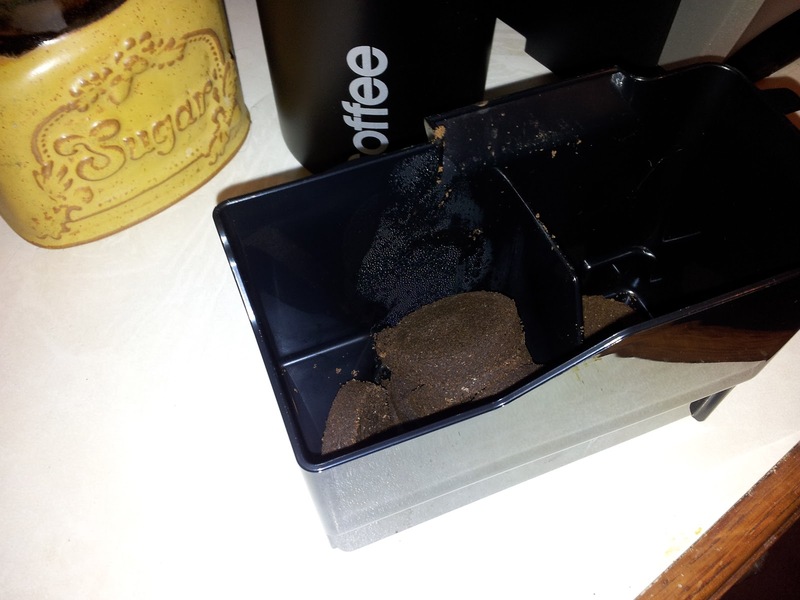 This has the corollary effect of cooling the machine down enough to make coffee once more. See?, I knew there must be a 'logical' purpose to requiring two controls (a button and a knob) to control the frother wand when at first it seemed that only one should be needed. I think you'll agree the above isn't entirely logical or user-friendly. It has the feel of a Beta Version about it. When researching which machine to buy, I read a lot of opinion to the effect that "coffee makers just do what it takes to make great coffee, whether they're easy or intuitive to use is a secondary consideration ". I don't agree with that outlook: great tools don't just need to produce great results, they also need to be user-friendly in order to make the power they facilitate available to us mere mortals. So, whilst the sometimes-obscure controls on the Magnifica may well double-up as a useful test of debugging skills for new developers should you decide to install one in the office (see, I'm getting back on topic now), it is still a pretty inexcusable limitation in a machine that costs £350. Bottom line, I'm glad I got one. It's nice to be able to enjoy a decent cup of Joe or two in the morning before heading out to face the day. And, minor quibbles aside, it is actually pretty easy to use to get a normal cup of coffee once you've got it set up. All-in-all, I'm pleased with the results and would recommend it.